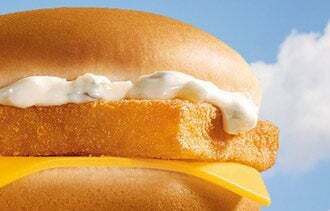 It was a McDonald's franchisee in Cincinnati who, 50 years ago, devised the fast-food chain's popular Filet-O-Fish sandwich. And a Dairy Queen franchisee invented that company's blockbuster Blizzard frozen treat. Dave Hood, president of franchisor consultancy iFranchise Group, noted these landmarks during a talk Friday at the International Franchise Expo to drive home his larger point -- that franchisors need to listen to their franchisees. Selecting the right franchisees and treating them well may, in fact, be the most important rules for franchisors as they start and build their companies. Those were key messages in a wide-ranging presentation for new franchisors that Hood, who is also former president of Auntie Anne's Soft Pretzels, gave with Robert Stidham, president of franchise sales outsourcing firm Franchise Dynamics. Hood stressed the importance of maintaining an internal culture that's supportive of franchisees. "Involve franchisees in building support programs," he advised. Some franchisors bad-mouth their own franchisees, which can send a damaging attitude rippling through a company, Hood said. Instead, create a nurturing environment, which can lead to higher franchisee profits, increased franchisor royalties, greater market share for the brand, a better work environment for employees and a higher company valuation, he said. The easiest way for franchisors to grow is to expand with current franchisees, and if most existing franchisors aren't interested, it's probably a sign that something's wrong, he said. Franchisors providing the best support tend to lead by example, build their support systems around issues most important to franchisees, share key performance measures with franchisees and promote communication between franchisees, he said. "Be committed to hiring people who are better than you," who know more about their areas of expertise, Hood said. Some franchisors instead hire people who meet their ego needs, "but it doesn't build a highly effective organization." Franchisors should focus at least 80% of their attention on increasing franchisee revenues and profits and no more than 20% of their interactions with franchisees should involve compliance issues, he said. Another suggestion from Hood: Give franchisees credit for successes in the system. Stidham noted the importance of picking the right franchisees. The franchisee you want, Stidham said, is intelligent, has a strong work ethic, is strong on honesty and ethics, has a business background and the ability to sell, and possesses any specialized skills or licensing required in the industry. "Focus your initial efforts on the people you want in the geography you need," Stidham said, adding that it makes sense to grow from the core business market outward. Award franchises to candidates who are likely to represent your brand very well, Stidham said. Aggressive growth too early, he said, can lead to poor franchisee selection, inadequate support of new franchisees, poor real estate decisions, a damaged brand and other problems.